Lake Wilmore Trail is a park at Ogletree Elementary School. Come bike, run and hike on Auburn's new mountain bike trail constructed by C.A.M.P. (Central Alabama Mountain Pedalers). The proposed trail, represented by the green dots on the map , will be made up of three interconnected loops. If the trail is approved the loops will be built one-at-a-time. The first loop will be an easier, less technical loop than the final loop which is across the creek. The idea is to provide substantial, fun rides for all skill levels. Our Mission: To promote trail advocacy, health, wellness, and education by developing, maintaining, and riding sustainable multi-use trails. Our motto: "We make things happen!" Our Vision: To improve the quality of life for the people in the communities we serve by developing mutually beneficial relationships that support the growth of multi-use trail systems and the promotion of outdoor activities. CAMP is a 501(c)(3) non-profit organization and an official IMBA-SORBA chapter. CAMP is a mountain biking organization that is the official IMBA-SORBA chapter of central Alabama. 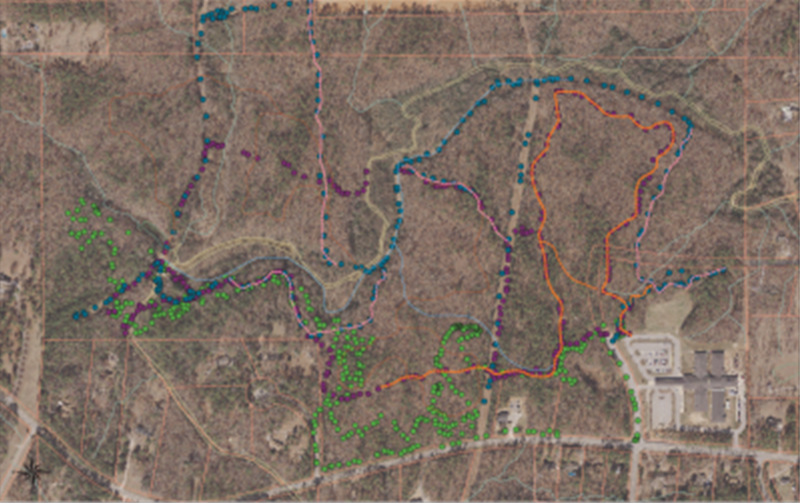 Located primarily in the Auburn and Opelika area of Lee County, CAMP's main trail building efforts are located within Chewacla State Park. If you would like to become an official member of CAMP, go to the IMBA website www.imba.com and join. Individual membership is $30 annually. There are other special rates for families, students, etc. Be sure to select Central Alabama Mountain Pedalers as your affiliated chapter. To make a donation to CAMP, please go to our website at www.camp-sorba.org. Please make sure you include your contact information so we can get in touch with you!